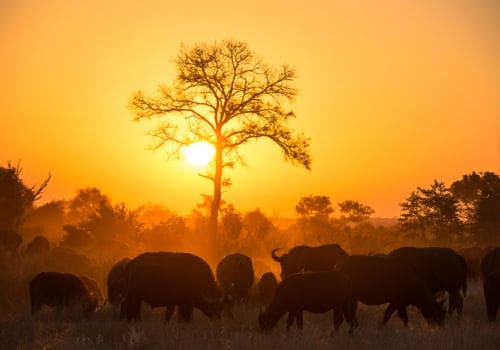 Experience ultimate luxury with this combination trip of a three-day safari in South Africa followed by six days of relaxation in Mauritius. Sabi Sabi is a private game reserve in South Africa bordering the famous Kruger National Park. 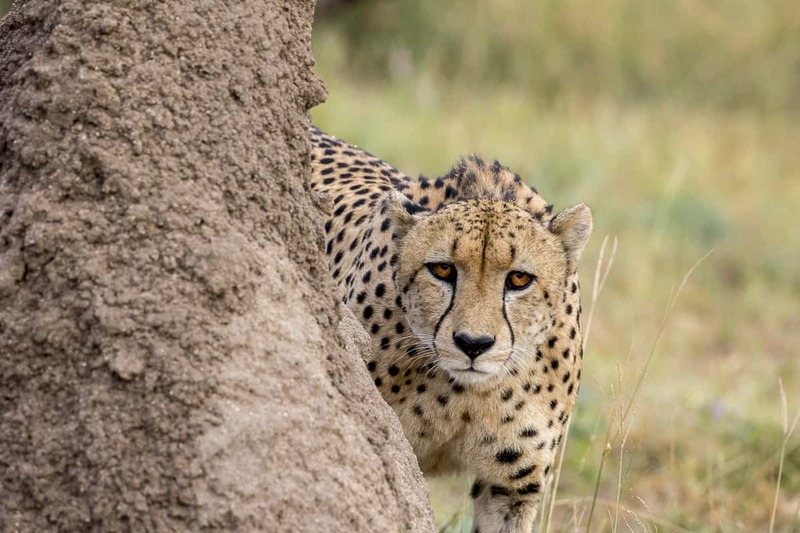 On your wildlife discovery, you may be one of the lucky few to view the ‘Big 5’ – leopard, lion, buffalo, African elephant or rhinoceros as well as cheetah, wild dog and some 200 other animal species indigenous to the area. Constance Le Prince Maurice, part of the ultimate collection, offers pristine white sand beaches, individual accommodation and sheer luxury. You can pamper yourself at the spa and indulge in the cuisine created by their world-renowned chefs. Upon arrival in Johannesburg, take a short flight to Sabi Sabi where you will be transferred to the Bush Lodge to check into the Mandleve Presidential Suite which has its own private plunge pool. Spend the next 3 nights in the comfort of this luxury lodge where your stay will include a morning and evening open vehicle safari each day, a walking safari, all your meals, a house selection of beverages and much more. The lodge is rich in history having been established over 35 years ago and it has now gained its well-deserved reputation as one of the most luxurious properties in the region. With a real focus on excellent levels of service excellence and effortless personal attention, the property is beautifully designed and is adorned with pieces from all parts of the African continent. For the ultimate in luxury, enjoy the ultimate African spa experience at Bush Lodge’s Amani Spa. Be pampered with the spa’s holistic body, skin and beauty rituals as well as its signature rejuvenating massages designed to relax the spirit – all whilst hearing the sound of incredible tranquility and nature outside. Upon checking out of your lodge, a short flight will take you to Johannesburg from Sabi Sabi. From there, you will take a flight (not included) from Johannesburg to Mauritius. 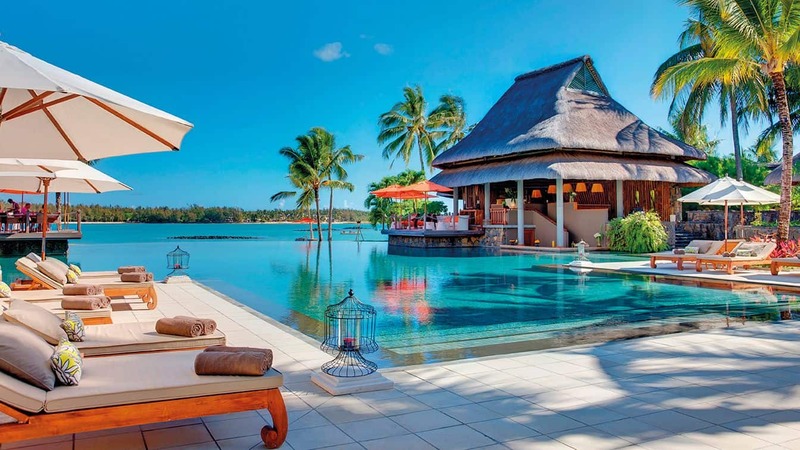 On your arrival in Mauritius, your driver will take you to the gorgeous Constance Le Prince Maurice. The beautiful hotel is a stunning romantic hideaway boasting lovely architectural design in a luxurious setting. Peaceful by day, the hotel is set amongst lush tropical greenery and has an incredible infinity pool whilst there is an inherent sense of tranquillity. For the next 5 nights, you will enjoy Half Board in your Junior Suite. Warm and luxurious, all Constance Le Prince Maurice’s Junior Suites are elegantly decorated in spice tones with a pinch of Mauritian warmth accompanied by ecological thatch roofing and welcoming flooring. If you’re looking for a touch more indulgence then we’d recommend an upgrade to one of the property’s Junior Suites on Stilts. Find out more on our dedicated page about Constance Le Prince Maurice.